After Tesco's stand-off with Unilever brought the risks of Brexit into sharp relief, Morrisons has taken the bold step of increasing the price of Marmite by 12.5%. According to data seen by The Grocer, the UK's fourth biggest supermarket raised the price of a 250g jar of Marmite from £2.35 to £2.64 on 19 October, just one week after the Tesco incident reached the news. Unilever brands, which also include Dove, Lynx, Knorr and Pot Noodle, had disappeared from Tesco's website and some stores after Unilever reportedly demanded a 10% hike in the price Tesco paid for its goods. Shortly afterwards, the two reached an agreement, and the full Unilever range is now available online once again. 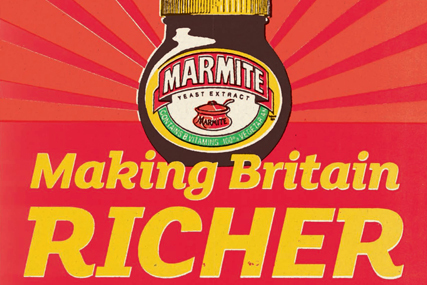 It is not clear whether Morrisons' price increase for Marmite is related to price pressure from Unilever, but reports have suggested that each of the major supermarkets was in a similar situation with the manufacturer. But of the 228 Unilever food products available at Morrisons, 92 have increased in price, while only 19 went down - with products from brands including Knorr, Bertolli, Hellmann's and Magnum going up in price. A Morrisons spokesman told The Grocer: "Sometimes we have to increase prices as a result of costs rising - though we do our best to avoid this. More often than not we have been reducing prices. More than 3,000 products are currently cheaper in Morrisons than they were last year."